Is she still alive? : scintillating tales for women of a certain age. In 2003 tessa Duder spent six months in Europe as the recipient of the Katherine Mansfield Memorial Fellowship. Internationally renowned for her superb childrens' and young adult novels, tessa used her time in Menton to write something very different. the result is a superb collection of thirteen stories for women who have moved beyond youth and into maturity, who have seen and experienced much of what life has to offer, and wear their years with pride. the wonderful, wise and witty women she has created will strike a chord with their tales of loves and dreams they have lived and lost, their tragedies and their triumphs and most of all, their enduring spirit and often unexpected strength. 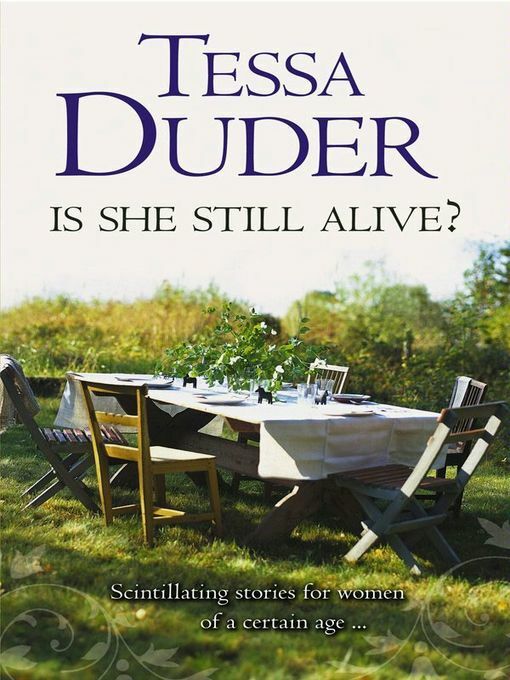 Is she still alive is the question women of a certain age hear all too often - in tessa Duder's wonderful new stories the answer is a resounding yes.